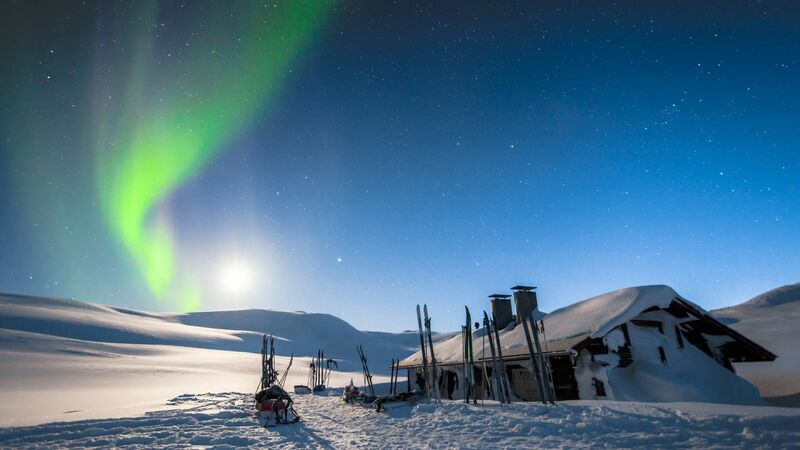 Enontekiö is the ultimate destination for adventurers craving purity in nature and the authentic Arctic experience. In this land of wide open spaces, where three Nordic countries meet, reindeer and man alike roam free. 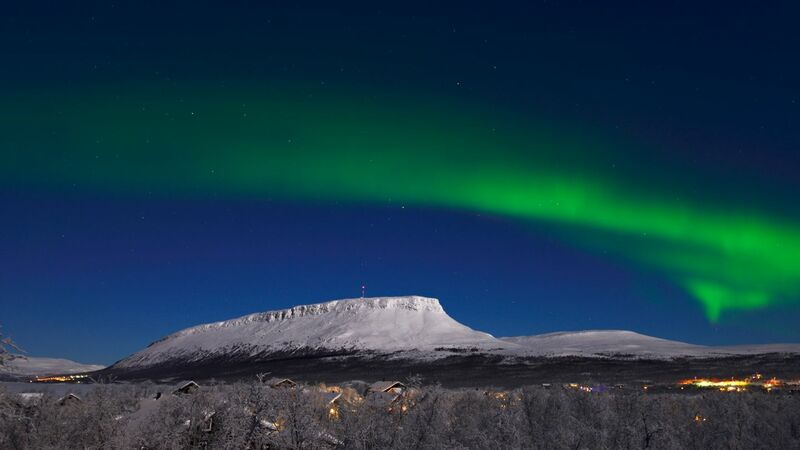 Visitors here can experience the Northern Lights and traditional Lapland culture. This is true Lapland, the pure Arctic, where Finland‘s only mountains rise in the distant horizon to welcome you to explore on snowshoe, ski, husky sled or snowmobile. Enontekiö’s name means the “birthplace of rivers,” and the ancient major waterways of Fell Lapland offer many experiences. In the summers, canoers will find both relaxing and challenging routes along the Ounasjoki river. The free-flowing river will carry them through untouched Arctic nature and past traditional riverside villages. 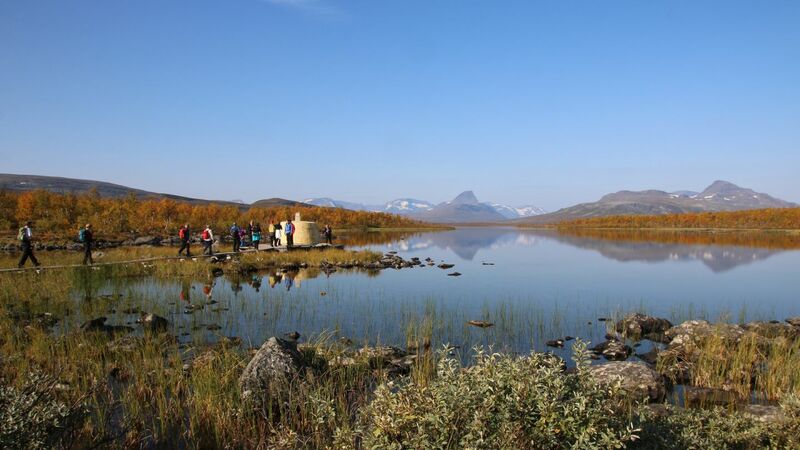 Farther north – as far north as Finland goes – the cold waters of Lake Kilpisjärvi teem with huge Arctic char. The border river between Finland and Sweden features churning rapids for rafters and fly fishermen. As you move away from the rivers, you’ll find the perfect place to explore via bicycle in Enontekiö. With 350 kilometers of mountain bike trails, ranging from easy to the most challenging. Even a one-day bike ride will bring you to fabulous terrains featuring rivers, fells, valleys, stony hillsides and more. Ride along roads built by the Germans during WWII. Stop and take pictures at the restored Järämä fortifications. From May to August, you’ll have long days stretching out, often for 24 hours. This constant sunshine coaxes the plants to blossom for a few weeks in summer, a rare sight for any visitor. Winter slows the rivers and lakes until they freeze solid. These are the months when you hear the rip and roar of snowmobiles echoing off the distant fells. As the sun stays hidden under the horizon, the night sky above frozen Lake Kilpisjärvi erupts with the green fires of the Northern Lights. Snowmobile riders often go to the middle of nowhere just to park and watch nature’s silent fireworks. Local fell guides are happy to lead you to the most attractive places, hidden in the wilderness. During spring, when the days are long, fishermen try their skill and luck by boring holes into the rivers and lakes. And teams of huskies, with so much energy, yearn to pull your sledge across unbroken snow on trips lasting 10 minutes all the way up to 8 day Arctic expeditions. You’ll likely pass cross-country skiers, gliding across snow 2 meters deep. 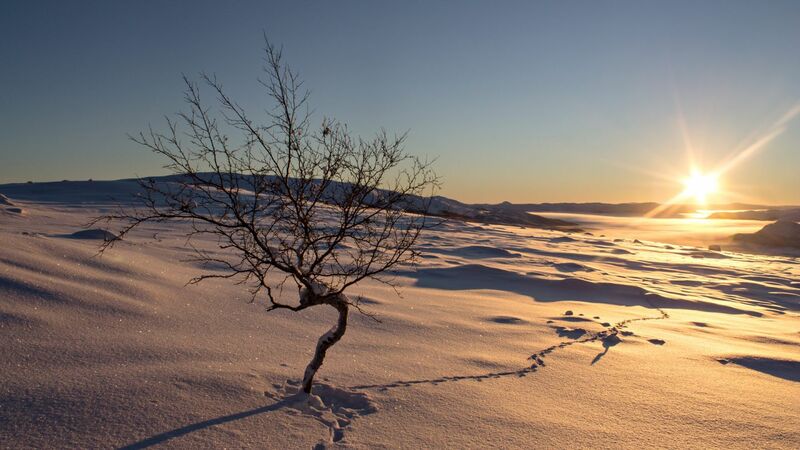 Enontekiö has more than 300 kilometers of ski trails, and skiers can enjoy the long days and warm weather sometimes as late as June in Kilpisjärvi. Food might never taste the same again, after you spend a week sampling Arctic delicacies from Enontekiö. The ingredients come from the purest soil, water and air, and the long Midnight Sun creates strong tastes. Every autumn, wild mushrooms, sweet blueberries and cloudberries are carried from the forests and fields to the dining table. You can watch your reindeer cooked over open fire, or grab homemade pastries with Arctic berries on your way to another adventure. Or just enjoy fresh fish year-round from some of the cleanest waters in the world. When it comes time to stand still, sit down or rest your head, you have your choice of cabins, hotels or a Lapland specialty: holiday villages. The cabins at Saivaara Mökit all nestle around the base of Saana fell, with unbelievable views and ample opportunities for climbing, biking or freeriding. 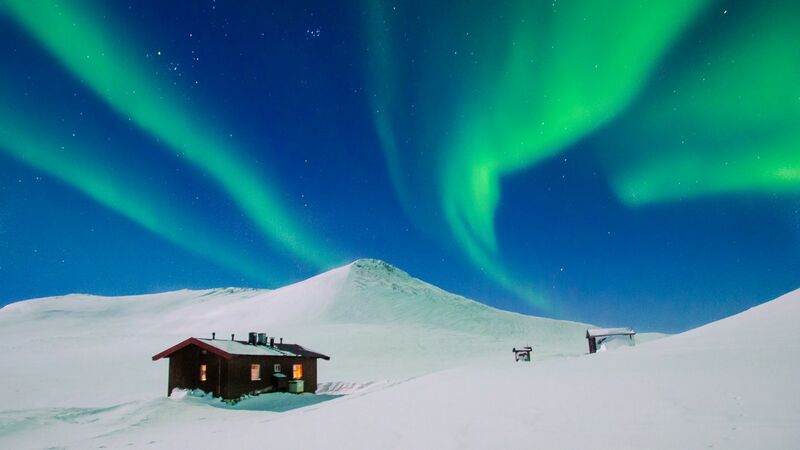 Lapland Hotels Hetta offers luxury and modern conveniences at the edge of the world. 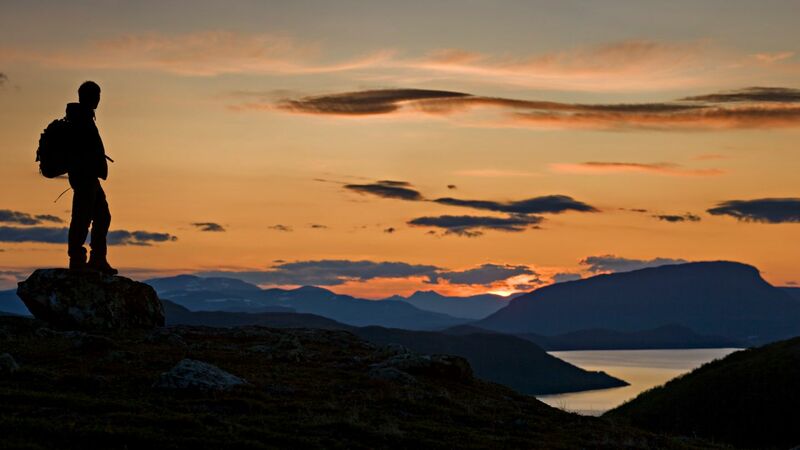 And only 6 km from the Norwegian border, Kilpisjärvi Retkeilykeskus combines traditional cabins with the convenience and services of a hotel. The village is the perfect base of operations for daytrips to the Scandinavian Mountains, which rear up impressively in the distance. You can also take the Malla boat to the Three Nations Border cairn and celebrate Finland and her European neighbors. During the high season (late winter), travelers can fly directly to Enontekiö from Helsinki. But the Kittilä international airport in Lapland, as well as Kiruna in Sweden, and Tromso in Norway, are all about 2 hours away. From Kittilä, you can easily rent a car or take a shared taxi or bus. Travelers can also come within arm’s reach of Enontekiö by train, as Kolari is the northernmost train station in Lapland. From there, it’s only a short 2 hour bus ride north. Driving? The town of Hetta, synonymous with Enontekiö, sits just above the northern border of the epic Pallas-Yllästunturi National Park. 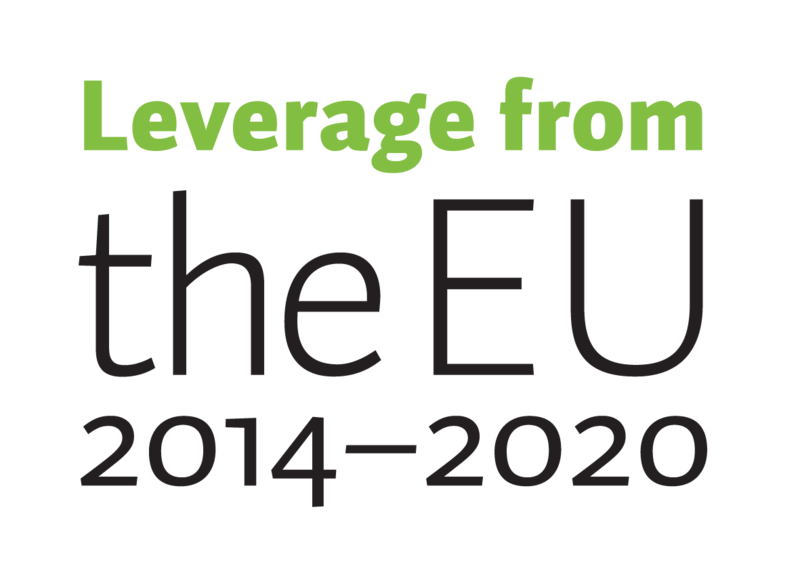 Hetta is only a 4 hour drive from Rovaniemi, the capital of Lapland. Take highway 79 north to Muonio and hop on E8 to Palojoensuu. Or drive from Rovaniemi to Pello and drive the border highway along the mighty Tornio River. 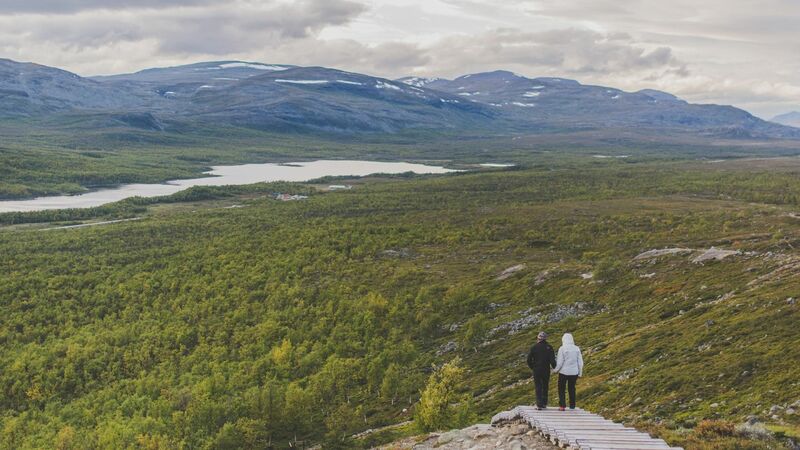 As you head north from Hetta to Kilpisjärvi, the landscape never lets you forget you are in the Arctic, as the plants grow shorter and hardier, and the terrain sparser. 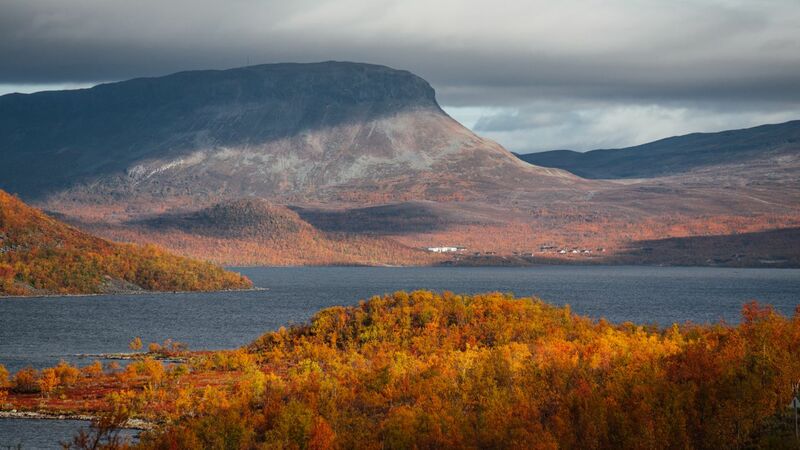 Try not smiling as you see Saana, perhaps Finland’s most iconic fell rise above Lake Kilpisjärvi. Need more Enontekiö? Visit www.tosilappi.fi and follow the stories in Facebook and Instagram.